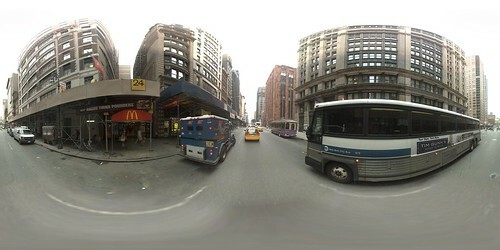 Ever wanted to download Google Street View panoramas programmatically? If you said "yes! ", then this is the code for you. I reverse-engineered their URL query scheme using the Live HTTP Headers plug-in for Firefox. From there, I just parsed through the XML returned to download each jpeg tile and then stitch them together in order. I used a variation of this code in combination with a few other programs to parse a GPS log, download the street view panorama for each position in the log, and then stitch each frame together into a video documenting my trip on the M5 bus. // better way to do this part?